Born of 15th Century Italian ingenuity, the barbute is something of an enigma. As a helmet, its design is effective and appealing, as shown by this North Italian Barbute Helmet, yet historically, it was favored most heavily in Italy yet no-where else. The irony behind that is that the barbute came about in an age typified by renewed interest in ancient artifacts, yet it remained unpopular despite its strong resemblance to classic Greek and Corinthian helms. This particular model is a design based out of Northern Italy, which features a slightly modified design. Unlike the other barbutes of the era, this helm features a wide, open face, lacking the distinctive T or Y shaped opening. It does, however, possess the central ridge, which acted as a secondary defense that diverted force away from the crown of the head upon every impact. 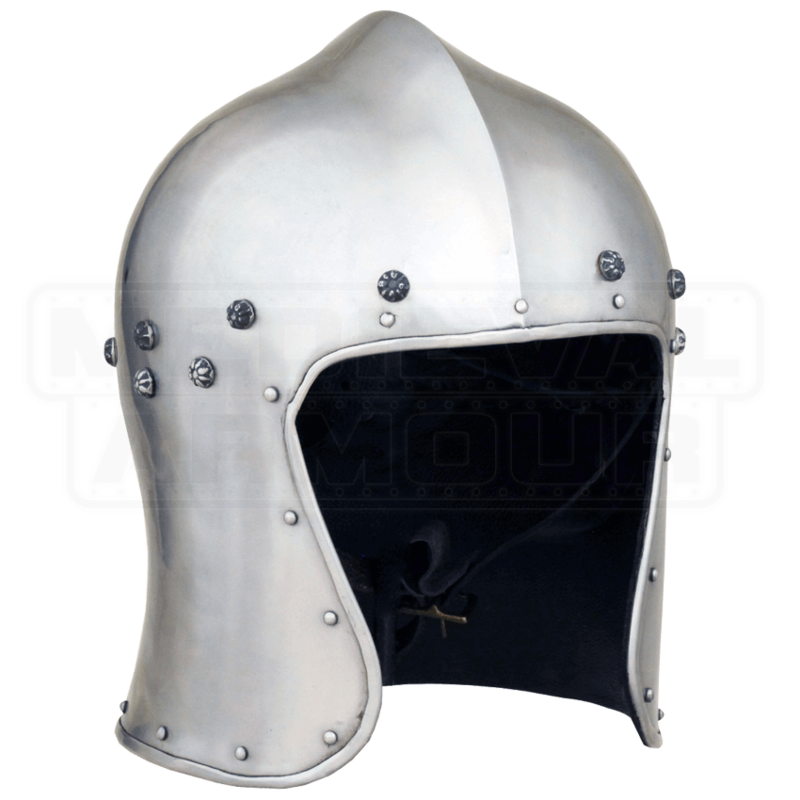 This replica helmet also features ornate rivets around the crown, as well, as a little touch of extra appeal to its design. 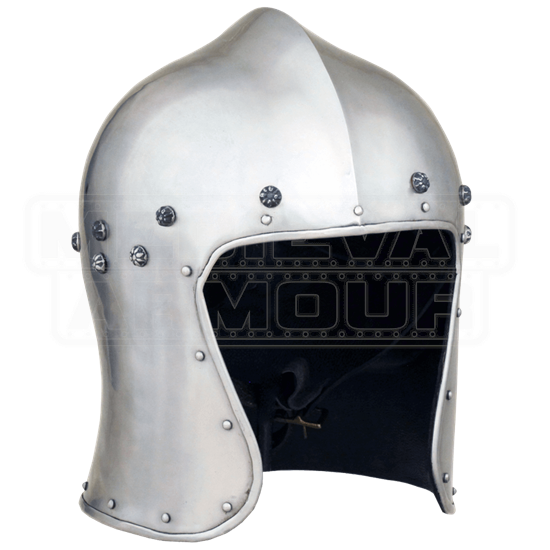 The helmet is made entirely from 18 gauge mild steel, and features an internal liner as well, for added comfort when worn. Perhaps ahead of its time in the 15th century, this North Italian Barbute Helmet remains a fine example of Italian armor-craft, and to the enthusiast today, it is a stunning collectible, as well as a fully wearable helm for use in the creation of authentic medieval warrior looks that are as authentic looking as they are battle-hardy.